The only fall color we need is bronze. So pass the tanning oil, because it’s still summer in South Florida— all autumn long. But the unseasonably warm sand beaches are just one of the perks that make Miami an ideal off-season destination. It’s a world-class city, a non-stop party and a total-package combination of culture and luxury. Here are just some of reasons you should put down your pumpkin latte and let Miami be the spice that your fall needs. 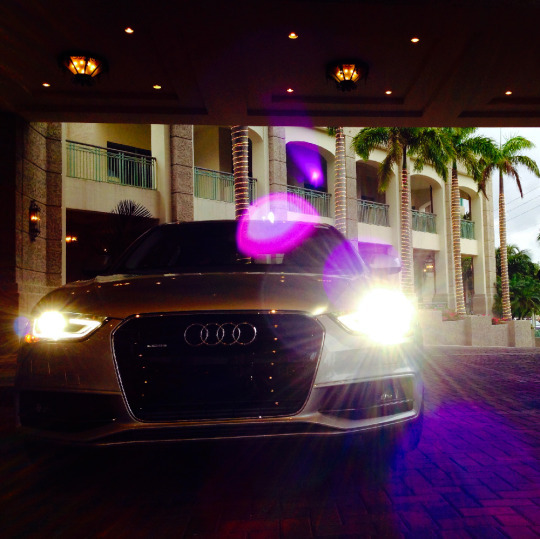 Your Silvercar will be waiting for you. Drive one in Miami during the month of September for only $49/day. That’s Spanish for “the boss.” With the summer crowds long gone, the bounties of Miami are at your beck and call. Off-season rates mean you won’t have to break the bank to unwind in the lap of luxury. Whether you’re drawn to the art-deco nostalgia of a South Beach retreat or the steel-and-glass luxury of a downtown hotel, an affordable room won’t be hard to find. Silvercar users have access to an exclusive offer at the ultramodern EB Hotel. Reserve your own deluxe suite for only $149 per night in September using promo code SILVERCAR. Eat like no one’s watching. Miami offers the best of both Caribbean and American cuisine. But burger gastronomy and fresh-catch seafood aren’t all that are on the munu. This city attracts some of the best chefs from around the world. The result: a unique taste you won’t find anywhere else. Now that the tourist rush has died down, Fall is the best time to get a seat at the most in-demand tables in South Florida. Restaurant week during September is a time of indulgence for the adventurous eater, as the hottest kitchens in the city share their boldest concoctions. Fall is the season for every sport. From September thru November, Miami’s athletic calendar is at its fullest. As the Miami Marlins take their final at-bats of the season, the tailgates begin to populate around Sun Life Stadium, home to both NFL and NCAA football teams. Later in the fall, the Miami Heat will tipoff their basketball season in the heart of downtown. If you prefer to put a little skin in the game, Miami has world famous racetracks, as well as unique-to-Miami jai alai courts— never too far from a casino floor. Due largely to its port location and proximity to the Caribbean, Miami is truly a melting pot. With the out-of-towners gone, you’ll be able to immerse yourself in the true Miami. Every neighborhood has its own culture and its own surprises. A stroll through Little Havana is about as far away from the US as you can get without a passport. And the Wynwood Arts District holds culture to an even higher standard with its envelope-pushing art galleries and studios. If you’re left wanting more, the Perez Art Museum is just one of Miami’s world-renowned museums. Steal a few more days of summer. South Florida is where summer goes to vacation. As the southernmost major city on America’s mainland, the cold air that is moving in on our more northern friends can’t reach us. Fall months mean emptier beaches around Miami, so there is never a better time to completely relax. Plus, you worked on your tan all summer. Why let it disappear so soon? Miami doesn’t go away during the offseason. It doesn’t turn off its neon lights. It only becomes a truer version of itself. With the tourist crowd gone, fall is when Miami finally lets loose.